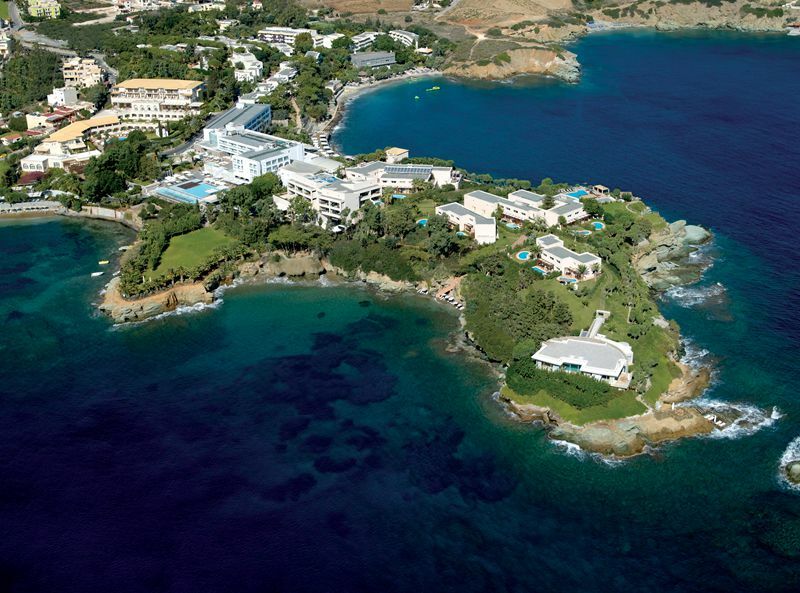 Out of the Blue, Capsis Elite Resort is a sensational & unique resort in Crete, placed in an exquisite location that is spread out over an entire private peninsula, just 25 minutes from the city and international airport of Heraklion. 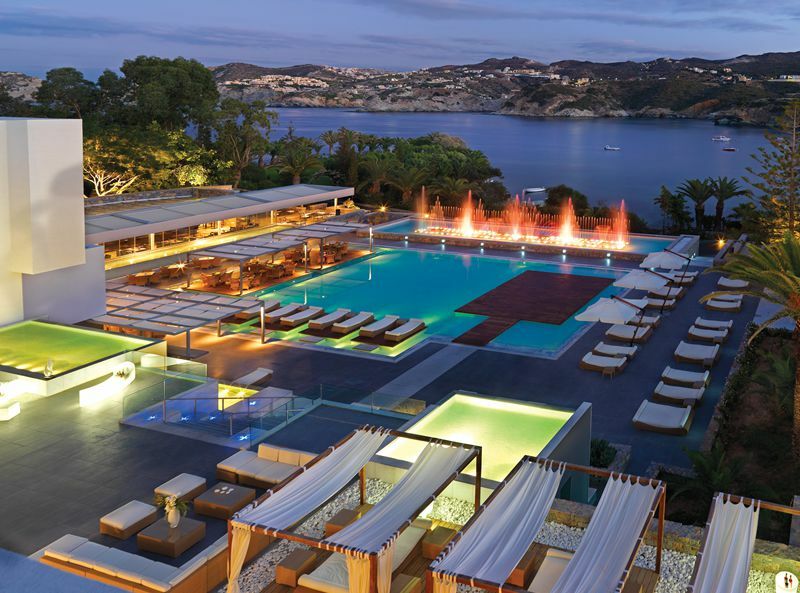 The 5* deluxe resort is surrounded by stunning botanical gardens & offers endless views of the azure Aegean sea. 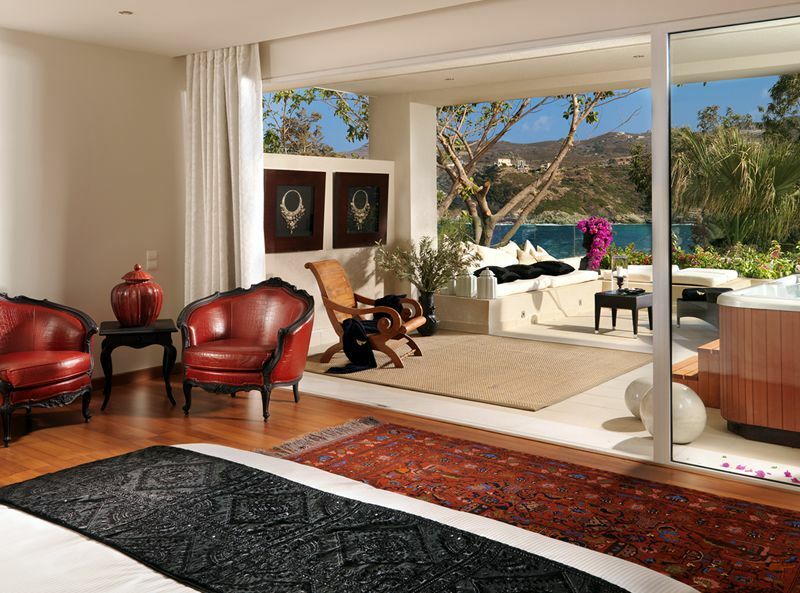 The resort offers a choice of 3 rooms collections (Classic, Lifestyle & Exclusive) all offering different concepts & designs, ranging from a modern-art inspired boutique hotel to bungalow style accommodation, all-suite hotels, and maisonettes & villas. 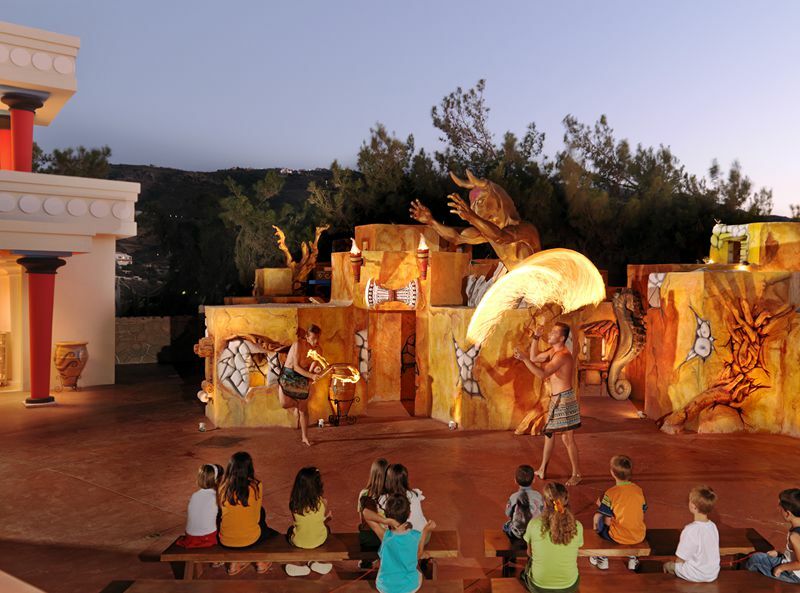 The resort is family friendly, and facilities for children include the amazing Minoan Amusement Club, a mythologyinspired amusement club offering endless fun, games & entertainment, an adventure playground and a dedicated children’s section in the restaurant. 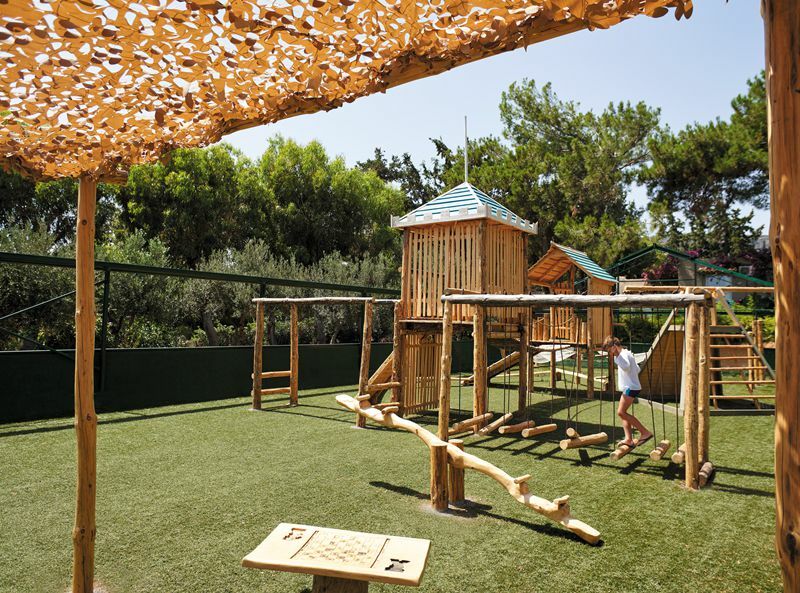 Baby-friendly suites (providing all essential equipment) & crèche facilities are also available for 6 months old up to 3 year old children. The resort’s “Everlasting Euphoria” holistic medical & wellness concept is perfect for guests interested in a touch of wellness, offering innovative and safe programs and treatments using state-of-the-art medical equipment, elevating mind and body. 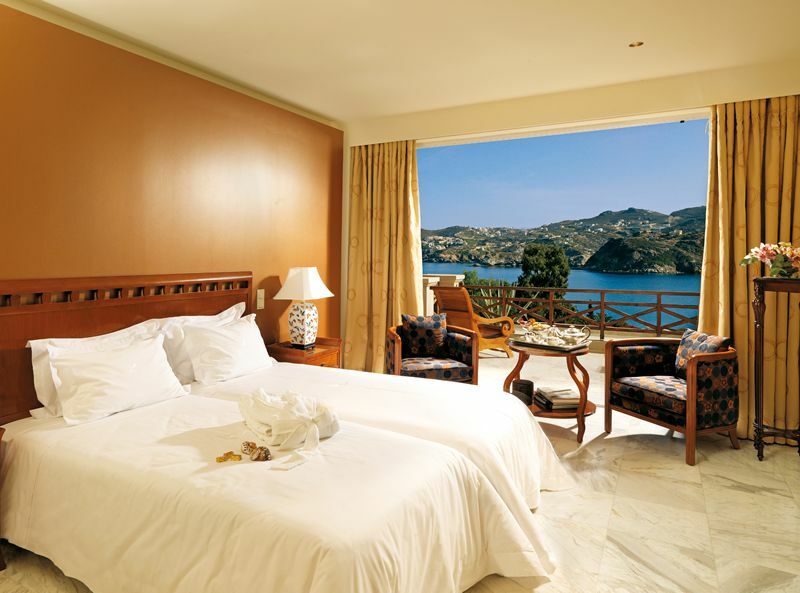 Book a suite within the Lifestyle or Exclusive Collection by 30/04/209 and get 20% Discount for holidays 28/04 - 31/10/2019. 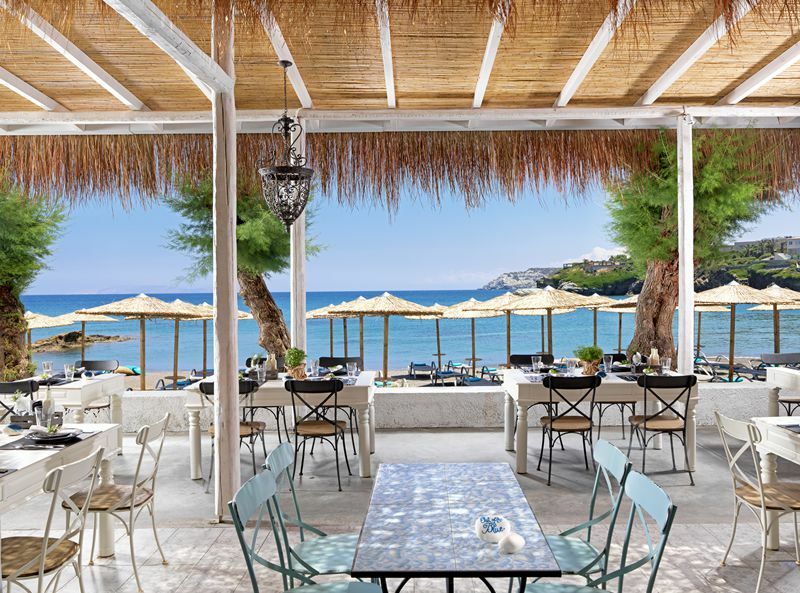 • “Red Pepper” – main buffet restaurant serving Mediterranean cuisine • “Green Pepper” – buffet restaurant • “Seasalt & Rosemary” offering à la carte Greek cuisine • “H2O Restaurant & Bar” – mix-grill cuisine with enchanting water, music & light shows every evening. • “Precieux Gourmet” breakfast for guests staying at the “Exclusive Collection” • “Amarando Beach Restaurant & Bar” – mix-grill options by the beach, from an open kitchen and BBQ • “Safran Pool Restaurant & Bar”– serving award winning creative Italian cuisine • “Azure Pool Bar” – light snacks & refreshments • “Dazzle Bar” – disco • “Ikaros Lobby Bar” – relaxing lobby bar with snacks, desserts • Apleton Kosher Restaurant – delightful flavours prepared with kosher ingredients, supervised by the Beth Din of Nice • Kids & Adolescents and Detox nutrition programs. 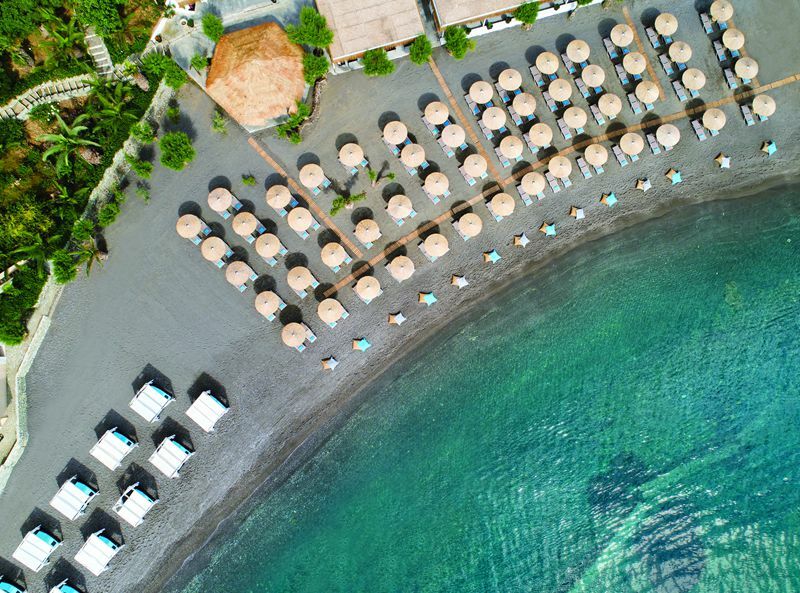 The resort offers a choice of 3 Collections: Classic Collection: Classic and Bungalow-Style Guest rooms, perfect for families as it is very close to the pools, water-slides & conveniently placed close to the beach and Minoan Amusement Club. 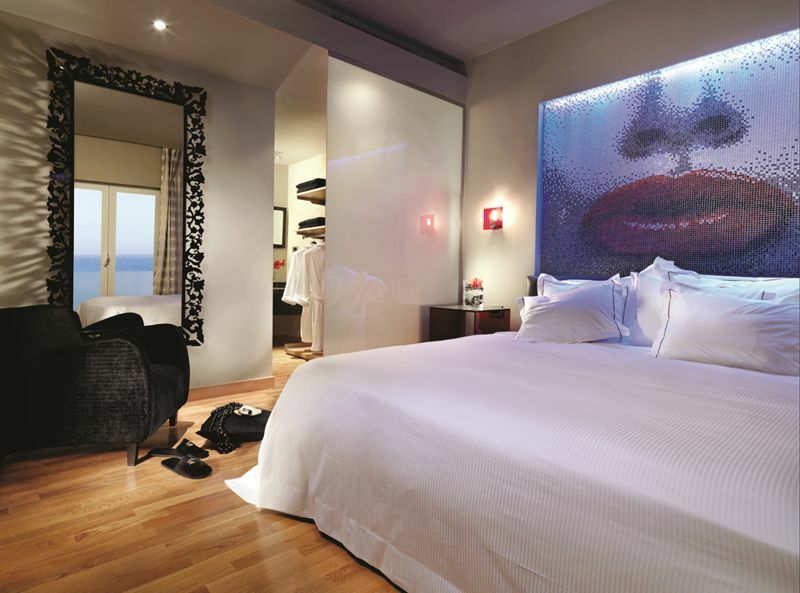 Lifestyle Collection: Modern-art, all-suite boutique hotel with 70 suites offering garden or sea views and extended living spaces. 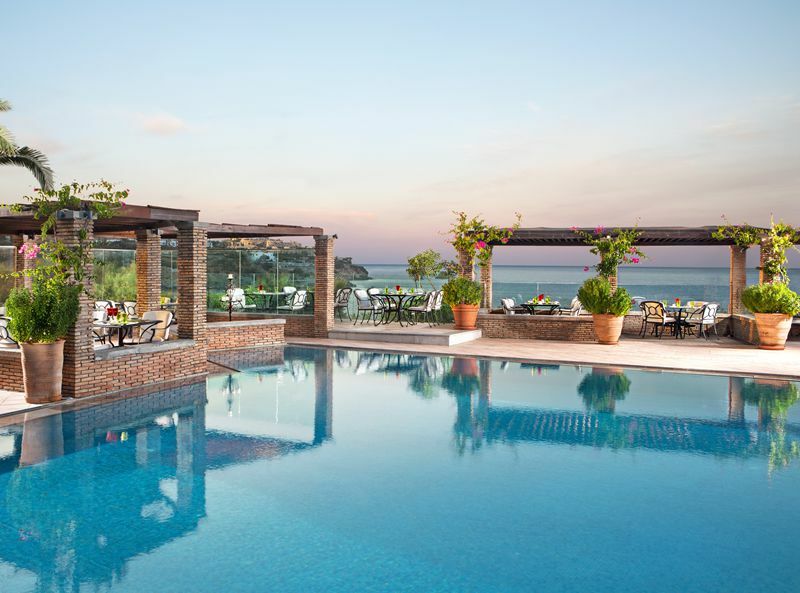 The Lifestyle Collection is ideal for couples and families alike, as it is located in the heart of the resort, close to all facilities and attractions, and with easy access to the beaches. 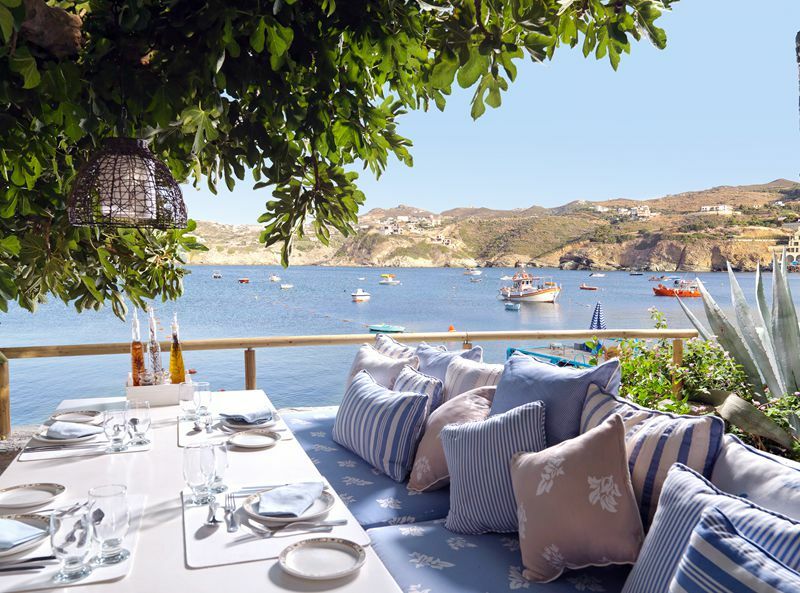 Exclusive Collection: A private neighbourhood consisting of 21 Sea Front luxury suites & maisonettes, surrounded by gardens and drenched by endless Aegean views. 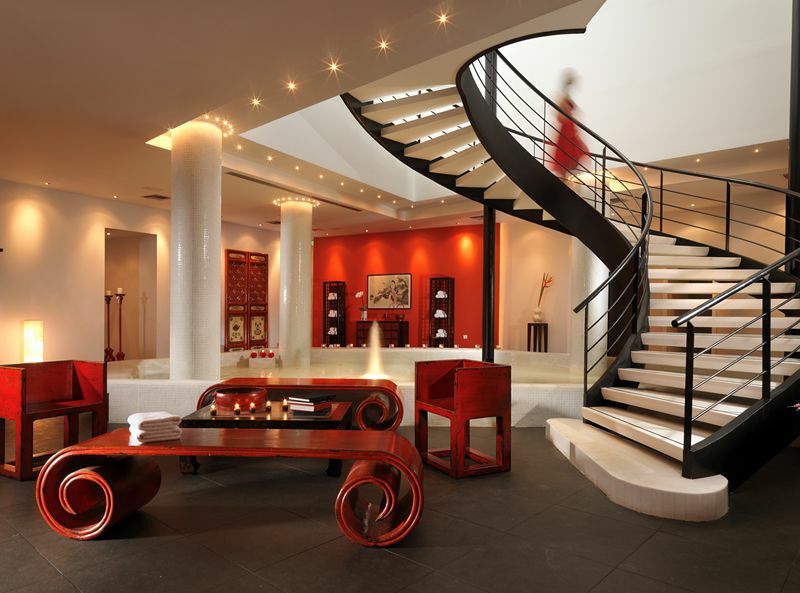 Guests have privileged access to the ‘Exclusive Collection’ Hotel facilities. 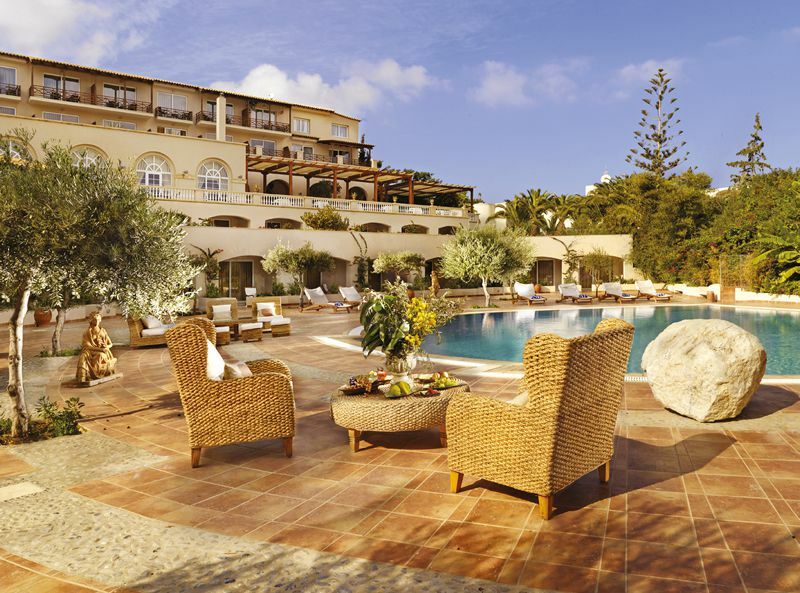 Exclusive Collection: 50 Luxury Suites, Maisonette-Villas and Villas with outdoor Jacuzzis, shared or private pools. 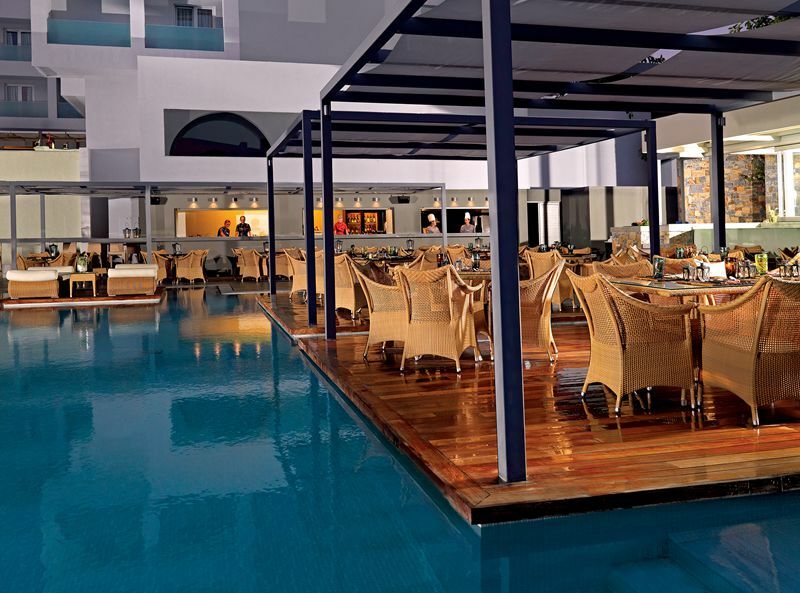 This section is private for guests offering exclusive services and facilities. 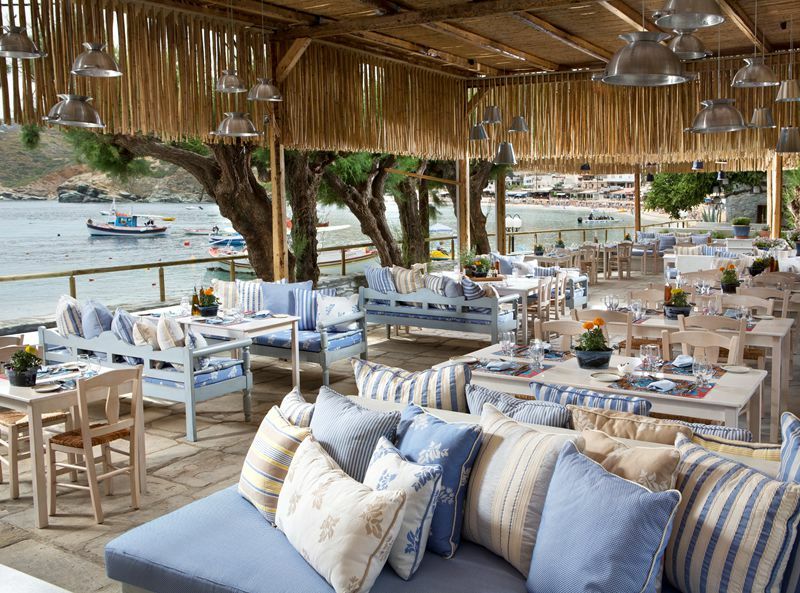 Located in a prime position on the Peninsula.